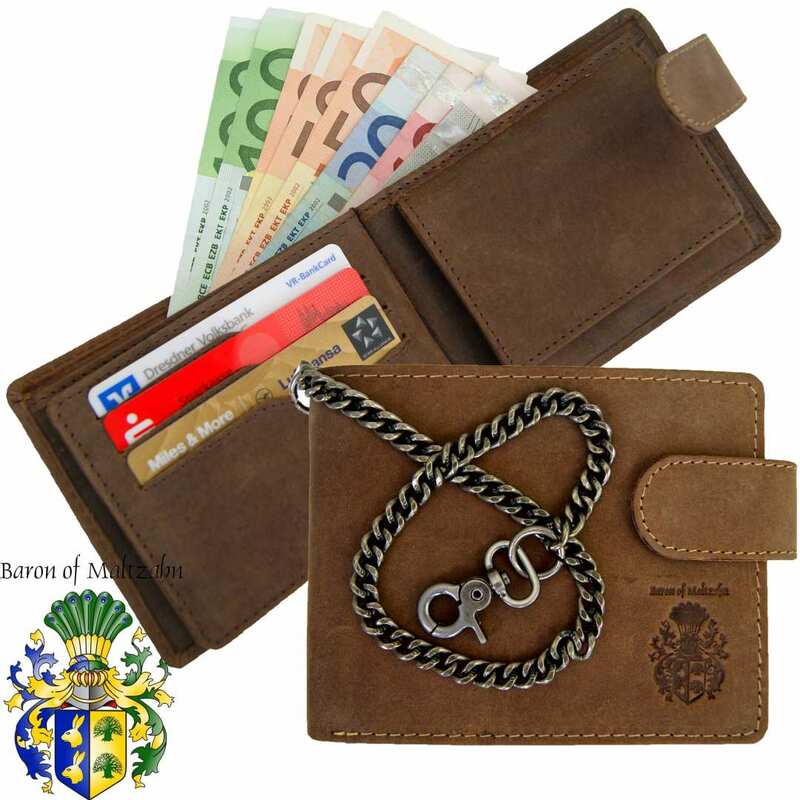 Product information "Men's money purse with chain VANDERBILT brown leather"
The men’s money purse with chain VANDERBILT protects your most valuable items very stylishly! This leather wallet is a great article that will certainly fulfill all your wishes and at the same time accompany you faithfully all day long. 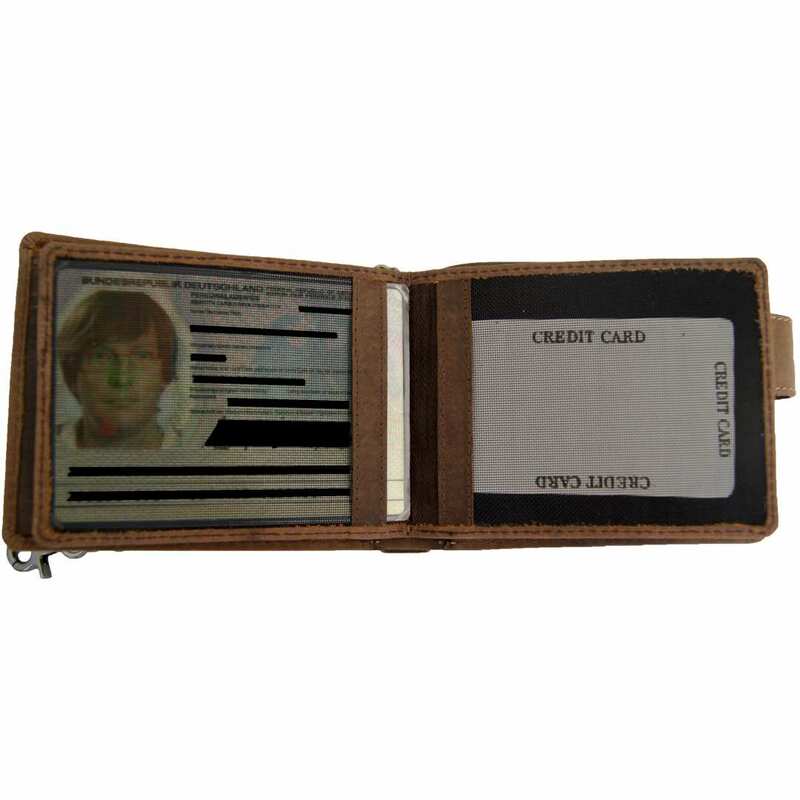 Discover for yourself how quickly all essential items like credit and visit cards, money and ID find their place in the fantastic money purse of brown genuine leather. This purse can be perfectly stored in your trouser pocket thanks to the practical metal chain that can be easily attached to the belt loops. This way, you will have your valuables always in sight and well secured! The men’s money purse consists of natural, unadulterated leather that has been tanned and then tumbled in a leather drum for two hours. According to this procedure, the cowhide loses grease and humidity and gets its amazing, unmistakable appearance without the surface being damaged. Finally, you get this high class leather product that has been manufactured following the most careful standards especially for you. 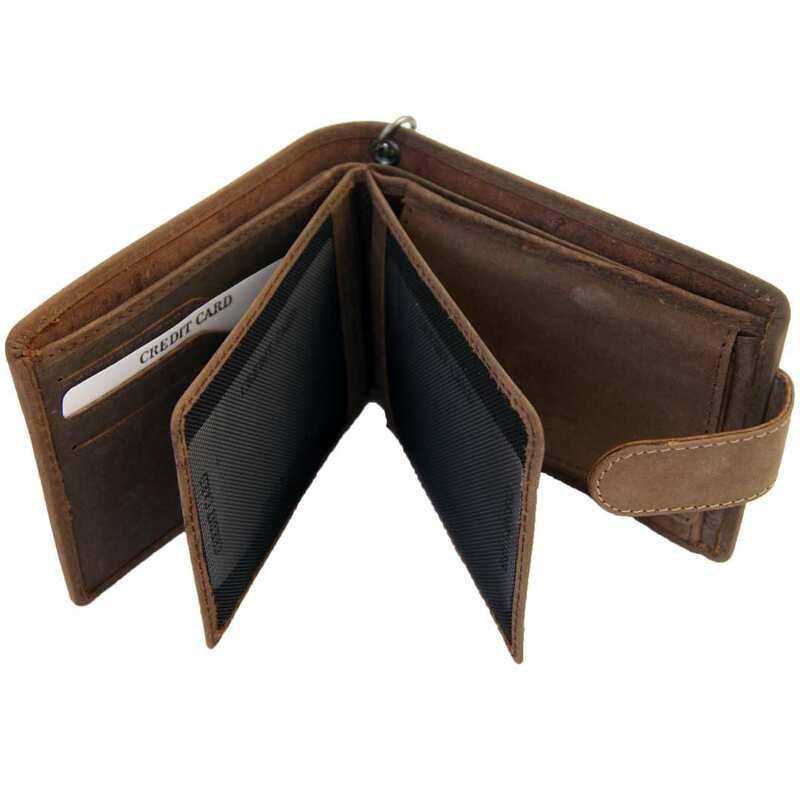 Order the exclusive leather wallet and keep your cards and money not only well-secured, but also very spaciously! Whether ID-card, credit card or important sales receipts: all items will find their space without effort in the many pockets of this article. 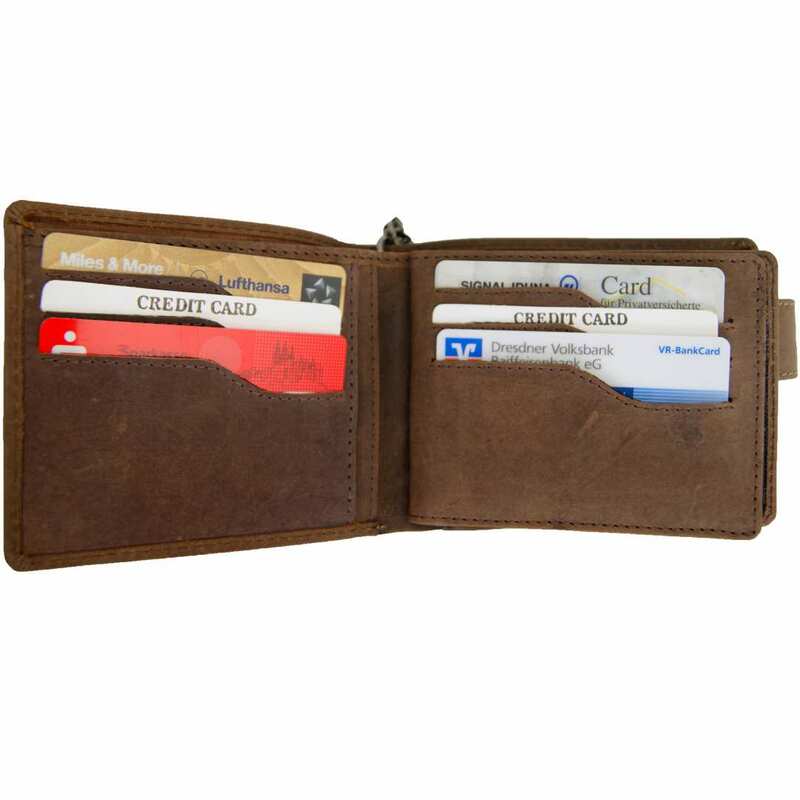 You can see eleven card holders, a special coin pocket, two bill sections and a zippered pocket that complete this fancy leather wallet. The total size of the is 4.7 x 3.9 x 1 in (12x10x1 cm). 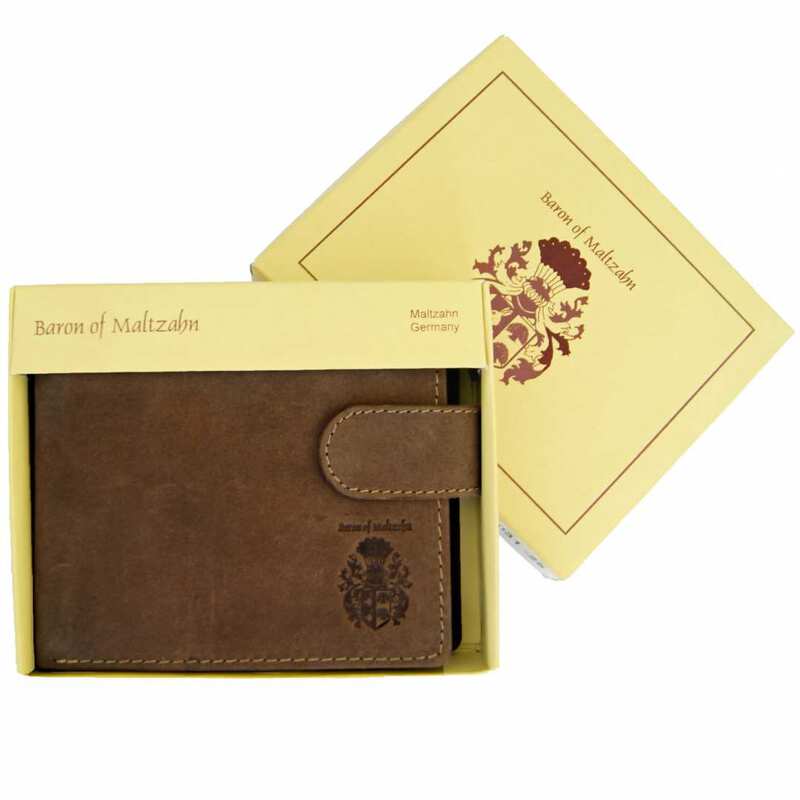 This money purse is a nice piece of the noble Collection BARON of MALTZAHN and therefore a very valuable leather accessory. 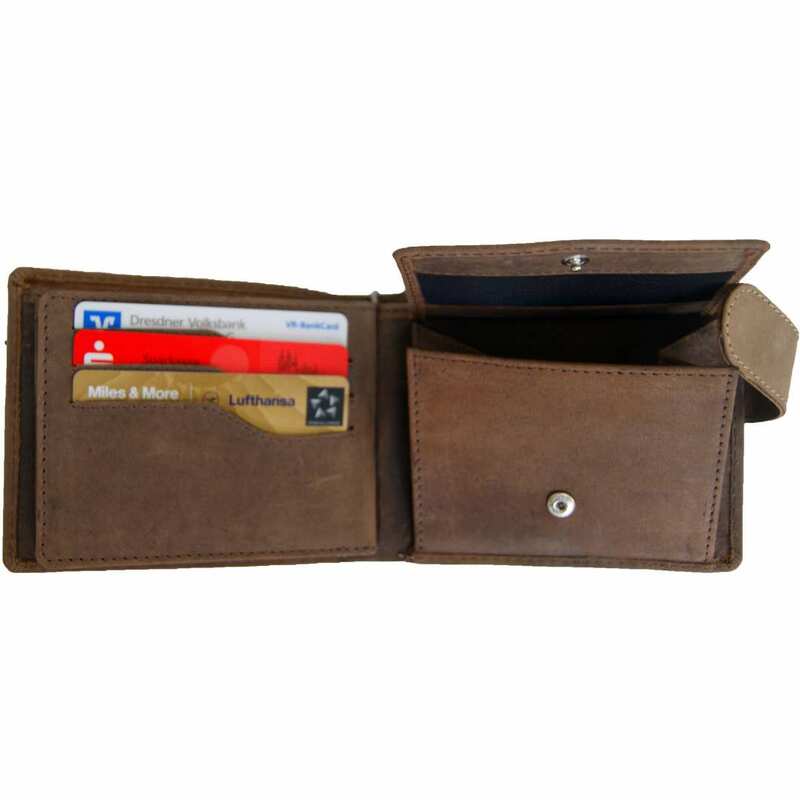 Order now and start enjoying the elegant wallet of brown leather! 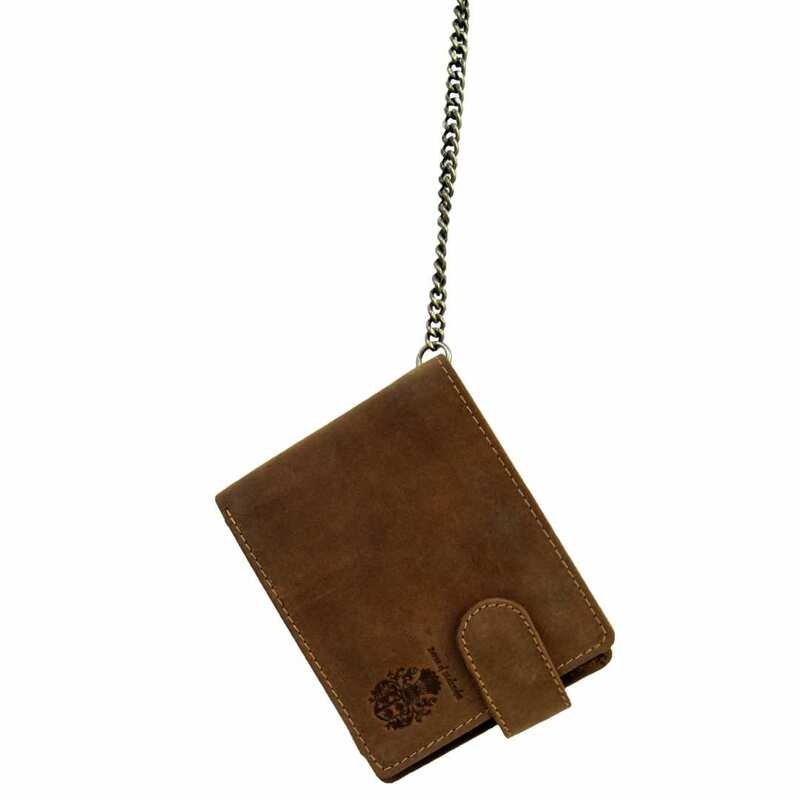 Reviews for "Men's money purse with chain VANDERBILT brown leather"